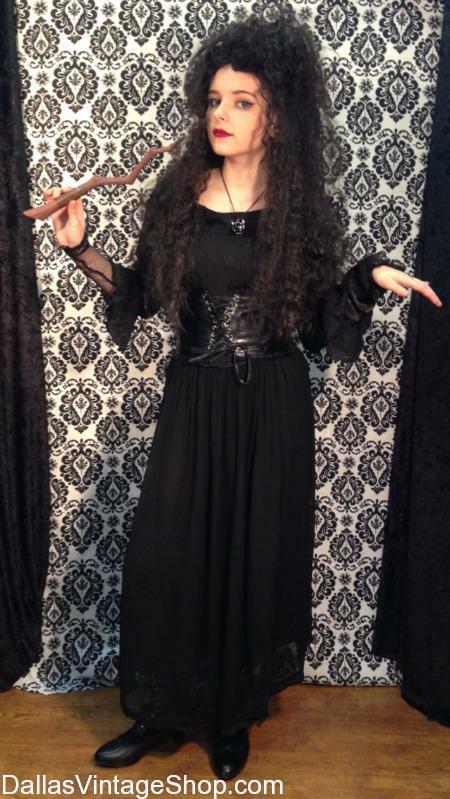 Celebrate North Texas Comic Book Convention Dressed as Bellatrix Lestrange! Come to the Comic Book Show February 2nd and 3rd, 2019 From 10 AM – 6 PM @ Irving Convention Center at Las Colinas, 500 West Las Colinas Boulevard, Irving, TX 75039 Dressed As Your Favorite Comic Book Character, Movie Character, or Fantasy Character. GET FULL DETAILS here. This Kid-Friendly Event features a Costume Contest so Make sure you Come Prepared! Dallas Vintage Shop has DC Comics, Marvel, and Even X-Men Costumes Available for all Ages and Sizes.